One summer evening, Laura Sneed was already wrist-deep in meatloaf mix when she realized that she was out of eggs. A minor inconvenience if you live near a grocery or within walking distance of helpful neighbors, but little nuisances quickly become big challenges when your home is not on dry land. 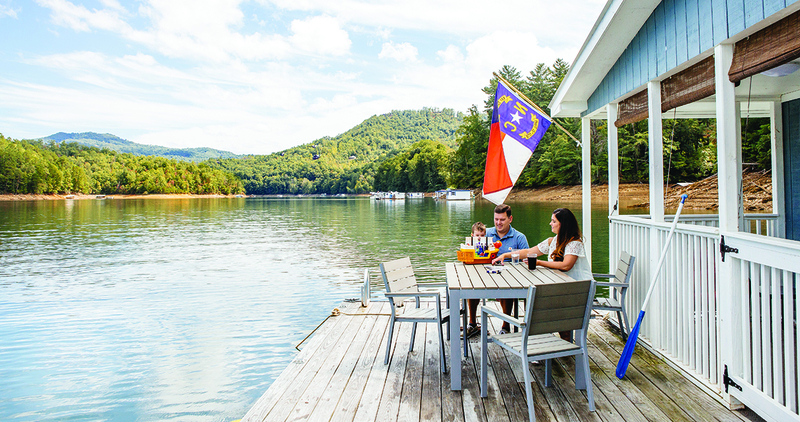 On weekends, the Sneed family moves their everyday life into a gently bobbing cottage on Fontana Lake, about 30 feet from shore and a 20-minute boat ride from the closest marina. Luckily, sound carries far and wide on a lake. Laura walked out on her deck and shouted over the water to her closest neighbor, whose home is some 50 feet away. Even though they’d never met before, the neighbor shouted back: Not only did she have eggs, but the eggs were from her very own chickens, who reside at home on land. Just like that, the neighbor jumped into the lake, a fresh egg in hand, to swim over for the dinnertime handoff. 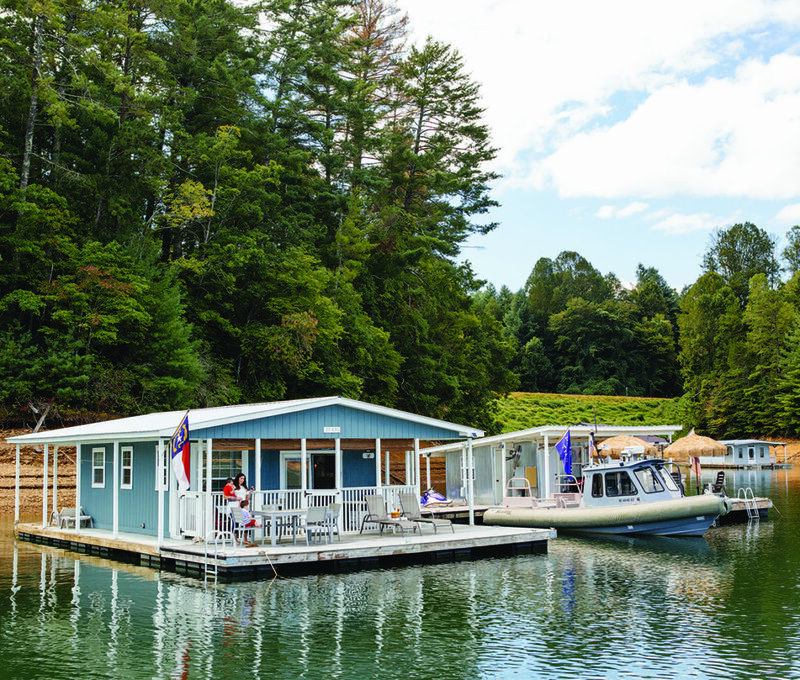 It was a moment that could only happen right here, in the various clustered communities of floating homes — not houseboats, which have motors attached — on Fontana Lake. There are barely any full-timers here. “I’d love to try it,” says Erik, Laura’s husband. “But living here full-time would be very impractical.” So the weekends are when the homes in the cove come alive. Out on the wide-open lake, without trees and hills to obstruct the view, neighbors are always in sight of each other. Voices skip like stones across the water. The squeals of kids splashing around break up the white noise of birdsong, generators, and the rumble of boat motors. Over time, people have gotten to know each other, albeit more slowly than neighbors on land do. In fact, today, everyone in this community is closer than ever because — for a while, at least — it looked like what they had created over decades was destined to fade away, like ripples in the water. Laura grew up in Minnesota, where lakes are plentiful and little cabins dot their shorelines. A work project brought her to the South, where she met Erik, a member of the Eastern Band of Cherokee Indians. When they were dating, they took a day trip to Fontana Dam, and that’s when Laura first saw the floating homes. “What are those?” she asked. They weren’t technically houseboats, Erik said, because they stay put. And for lakefront living, the price is a fraction of what it would be on the shore. Laura had always wanted to own a place of her own. Their family home on the Qualla Boundary in Cherokee is owned by Erik, because he is a member of the tribe. Laura is not. “I could actually own one of these houses,” she says. In 2014, Laura was clicking through a yard sale listing on Facebook and saw one for sale. And that’s how the Sneeds came to own a small former fishing shack. The home had been anchored in the same spot in a channel since 1968. “It was pretty much untouched,” Erik says. He doesn’t mean that in a good way. Over the winter of 2015, the Sneeds got to work. Erik knows construction — he helped build the casino on the Qualla Boundary — and Laura is a commercial interior designer. First, they gave up the idea of using a level, because the lake is always in motion, causing the bubble to move. They managed to run off the otters, and they replaced the plastic-lined Styrofoam floats, which were soggy and sitting ever-lower in the water. But a few retro touches — a horseshoe, a bell, and the tin siding — remain as a nod to the home’s history. Seeking extra space for guests and family, they bought another floating home that year and connected it to the first. The quarters are tight, but cozy and bright. Laura created art for the walls. Erik brought in a UV filtering system that pulls water from the lake, although the drinking water still comes from bottles. The refrigerator runs on propane. (“The little burner boils ammonia,” Erik says. “That’s how it works.”) There’s hot water and air-conditioning, courtesy of a generator. Food comes in — and trash goes out — on a boat. The Sneeds don’t exactly rough it here — there are many comforts of home. “We go glamping every weekend,” Laura says. But in February 2016, right around the time when they replaced the roof and finally finished all of the renovations, they got a postcard in the mail. That’s when the real problems started. A floating house exists, in part, to solve a problem. In Amsterdam and Seattle, where houseboats and floating houses are permanent parts of the cityscape, housing prices are exorbitant, and a residence on water is usually cheaper than buying something similar on land. In New Orleans, houseboats were proposed as hedges against hurricanes — if it floats, it can’t flood. At Fontana Lake, the problem, oddly, is the public land that surrounds it. 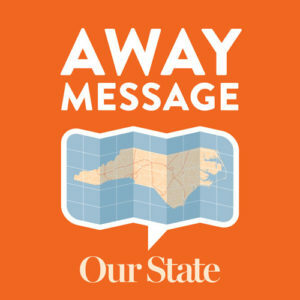 After the Tennessee Valley Authority (TVA) built the largest dam in the east, most of the new lakefront property in Graham and Swain counties became national parkland or national forest. The little private land that was left became wildly expensive. Within view of the Sneeds’ floating home is a huge house on a hillside over the lake. It’s worth $3 million, and the owner comes in from Georgia by helicopter. Most of the lakefront houses here have long been out of reach for locals. But in the 1950s, someone got the crafty idea to build a crude little cabin, put Styrofoam floats underneath, and shove it onto the water. Copycats followed, here and elsewhere, and today, some 1,800 floating homes dot the surface of TVA lakes across the southern Appalachians. For decades, the TVA tolerated the floating homes. It issued permits, charged fees, and established rules and regulations that the owners had to follow. But in 2016, Erik and Laura and the rest of the homeowners found out, via postcard, that the TVA had changed its mind, and was considering a proposal to remove the homes. All of them. At a TVA board of directors meeting in May 2016, Erik, Laura, and dozens of other homeowners pleaded their case. But TVA CEO Bill Johnson saw things differently. “What is being asked for is a permanent use of public property,” he said. Right afterward, the board voted to remove the floating homes from all TVA lakes. Not right away, though. Homeowners had 30 years to phase them out. Eager to build support for their cause, Laura and Erik had already created a Facebook group, Fontana Families for Floating Houses. They also circulated a petition that quickly received 4,000 signatures. 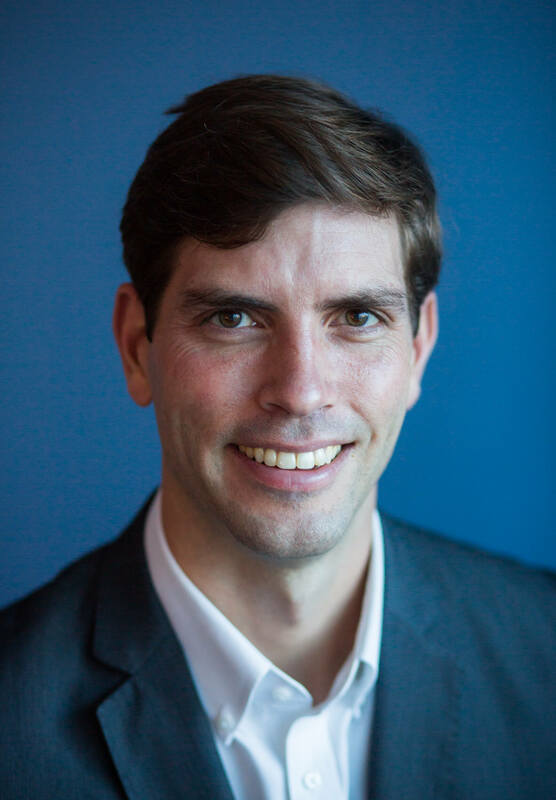 “It was enough to get the attention of all the politicians,” Erik says, including U.S. Rep. Mark Meadows, whose district includes Swain and Graham counties. Meadows quickly convened a congressional oversight subcommittee hearing to look into the matter, and he asked Laura to testify. There, in September 2016, she was seated right next to Johnson, the TVA CEO. In December 2016, President Obama signed a law stopping the TVA from removing the homes. There are still rules and regulations, new annual fees to pay, and permits to procure, but that talk fades on Erik and Laura’s floating front porch. You can still sleep outside here, although the sound of jumping fish wakes Laura. In the mornings, steam rises off the lake when the water is warmer than the air. It’s possible to swim well into the fall here. Laura has jumped in as late as October. “It wasn’t bad,” she says. There are little reminders of the past — a distant past — all over this waterfront. The Sneeds’ house floats above what used to be a blacksmith shop for the town of Judson, one of several that disappeared when the floodwaters came in the 1940s. An old railroad line still runs nearby on shore, and a steam engine’s bellows get closer and closer. It’s the Great Smoky Mountain Railroad, which carries tourists from Bryson City to points west. Sometimes, the Sneeds show up in other people’s Instagram shots of the lake, taken from a passenger car. 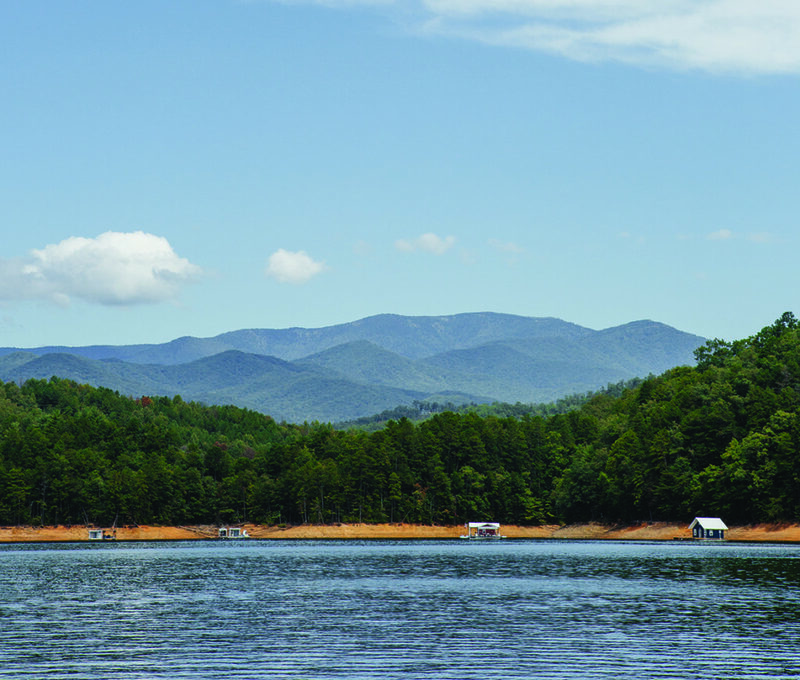 On Fontana Lake, in far western North Carolina, sit hundreds of floating cabins, meant for fishing and weekend getaways. But when the homes were threatened with removal, the owners banded together and took their fight to Washington, DC.